This article will be brief and to the point. There has been drama surrounding the electoral college, and it is certainly understandable that many are hoping for a rebellion against President-elect Trump. For full disclosure, I did not vote for him. Before we drone on about the “will of the people,” a timely reminder is in order; we are not a democracy, nor were we meant to be one in these United States. There are elements of democracy, which does include voting. However, the majority can not run roughshod over the entire country. There’s a reason it’s called Tyranny of the Majority. Our representative form of government has checks and balances not just in the three branches but all throughout the country. The electoral college was designed to prevent Tyranny of the Majority. It’s an unfortunate shame that faithless electors are not able to rebel against that of the blind masses should the need arise. The idea is supposed to be about having checks and balances to prevent anyone from having too much power over others. In other words, the electoral college is not the real problem, though giving electors more autonomy would make things a bit better. Regardless of what happens, we need to focus on the real problem with the election cycle and that’s the fact that two political parties do not want other party to come to the table or be involved in the process. We need to change the conversation about the fact that there are only two perceived choices in any given election cycle, and push for more than three. Major media itself has been just as guilty of perpetuating false or misleading news. The past several weeks have seen accusations of media venues peddling fake news and that something has to be done about it. Believe it or not, major venues are not without sin in that category. Here are just three instances in which major media publications and networks got things wrong. He was a computer hacker who had mastered the art of social engineering. Mitnick got himself into some trouble in the 1990’s to the point where John Markoff was writing sensationalist stories about him. Markoff claimed he was the FBI’s most wanted computer hacker (he wasn’t), and even claimed that Mitnick broke into the computer systems of a bank in order to distribute a fake press release. In reality, the so called fake “$400 million loss,” was actually human error as opposed to malicious intent. As for being the most wanted by the FBI, he was on a US Marshall’s poster, but that’s not quite the same thing. Due to such sensationalist stories, Mitnick’s civil liberties were blatantly violated as he was prevented from even having a trial (he plead out so he would no longer be placed in solitary confinement). Fortunately, Mitnick is now a successful consultant who helps businesses keep their information secure. He is also a successful author of multiple books. As Jon Schwarz of The Intercept points out, major media outlets are still getting this one wrong. The false premise of invading Iraq was that Saddam Hussein had weapons of mass destruction and that he was aiding Al Qaeda. In reality, both were bitter enemies. As for the weapons that were found, they were the very same weapons that existed well before Dessert Storm and Shield. They were holdovers from the Iraq-Iran war in the 1980’s. Some of the weapons couldn’t be destroyed safely due to their very nature, and Hussein was not about to attempt to utilize them. The world would have discovered it quickly. The other weapons were ones that Hussein didn’t know about as his regime lost track of them. They weren’t the only military force to lose track of resources as the US Military has also done the same. Numerous casualties and injuries would result from Operation Iraqi Freedom. Remember Jayson Blair? He was let go because he plagiarized or outright faked his news coverage. Salon has an interesting piece describing a big problem in terms of media coverage. Blair wasn’t the only one who played a part in misleading the public. Another individual was involved in pushing the talking points of George W Bush’s administration. Among said points includes the previously covered instance above. 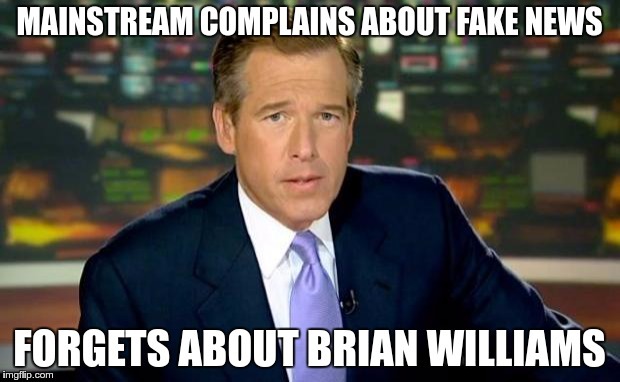 Accusations of bias and being fake aren’t necessarily new nor are actual acts of either. Multiple mainstream venues have indeed made mistakes in terms of accuracy and are not without sin. Update: Over a week later, they implemented SSL. They have a security certificate from Comodo. In light of the election results and the accusations of venues acting as fake news outlets and/or propaganda arms to the Russian government, there has been concerns regarding free speech. There is legislation that is indeed concerning as it could potentially violate the First Amendment in the Bill of Rights of the US Constitution. With that said, the fourth and fifth amendments should also be valued as well. I am no fan of tearing down other venues, but there are times when criticism is warranted. 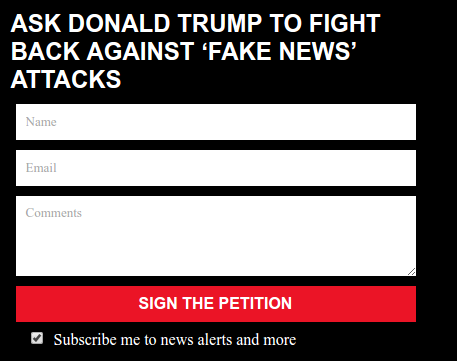 When I saw Infowars ask for signatures for a petition, I became irritated. Note the checkbox that also signs a person up for a newsletter. It is a similar tactic used by Newsmax and other venues. I have no problem with petitioning or asking for people to signup for a newsletter. Where I take issue is when I see that the website doesn’t use SSL Encryption. In other words, anything sent can be intercepted by a third party. I had a similar issue with John McAfee himself when he announced he was running for President. He was requesting volunteers on his campaign site, but there was no SSL Encryption. To be fair, after being called on it, a certificate was implemented, thus ensuring the privacy of those who signed up to volunteer. Without encryption, any information submitted in an online form can be intercepted by a third party interloper. Other sites like The Intercept use SSL due to the revelations from Edward Snowden. Having a plan for OpSec, or Operational Security, is important and should not be overlooked. This means protecting the information of visitors in any way possible on the entire site, not just a customer’s online shopping cart. This site is no exception. We value the privacy of our visitors, which is why we have an SSL certificate installed and active. This means any comments you submit will be encrypted and not intercepted by a third party. We value your privacy, which is why we don’t complain when ad blocking is used. The idea is to earn money with the site, but without visitors, that won’t happen. So the next time you see a call to action, double check and make sure the connection to the site is secure. In the meantime, you may want to e-mail Kurt Nimmo or Paul Joseph Watson and ask them why Infowars does not implement site wide SSL Encryption.